Calzeat is one of Scotland's premier manufacturers of high quality jacquard textile products with an emphasis on design, value and customer service. Based near the picturesque town of Biggar in the Scottish Borders, this family owned business produces a wide variety of fabrics and accessories which are sold throughout the world. As a past winner of the award for Scotland's most enterprising company, Calzeat has become one of Britain's most renowned textile manufacturers. Having invested heavily in the most modern electronic jacquard weaving machinery and computer aided design systems, the highly skilled staff at Calzeat are able to provide customers with a profoundly innovative and unique range of textile products. 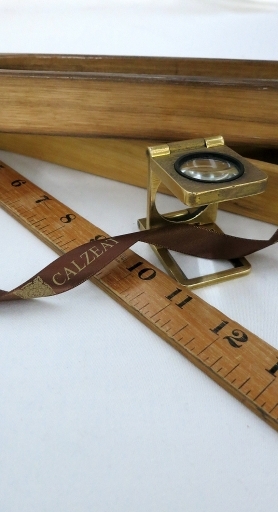 Founded in 1974, Calzeat started by selling wool fabric for men's neckties. Within 10 years a substantial business in men's and ladies apparel fabrics and accessories, was established and in more recents years a home interiors collection was developed in the mid 1980's. The many years of experience in fashion and home furnishings has allowed Calzeat to develop a highly original and exciting collection of both throws and scarves, which are available through our website and also at our retail outlets. Calzeat have five retail outlets in Scotland. Click HERE to see all our Shops!